If at some point in your life you've felt guilty that you spend all this time online shopping for youself, well now you can spread your love to your lil'bestfriend! 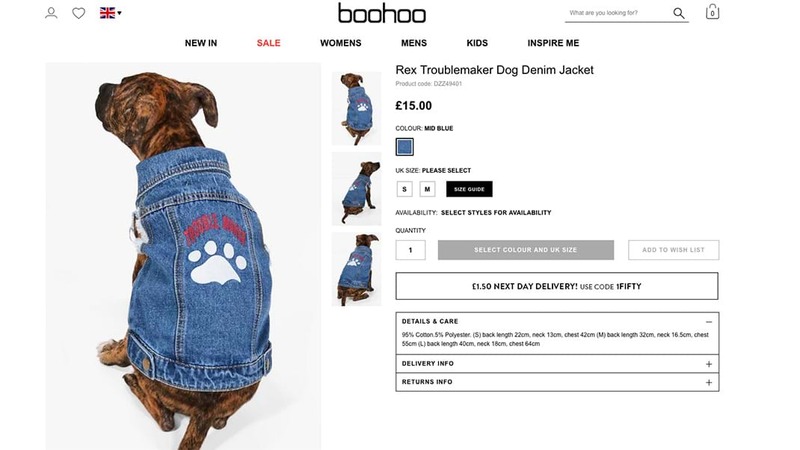 Boohoo have just released a new line of denim jackets just for your dog and they are cute AF. Picture walking down the street with matching denim jackets, you'll 100% be the coolest person on the street (or atleast in our books).